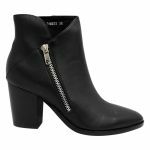 Tamers by Django & Juliette is a wrap style high heeled ankle boot. 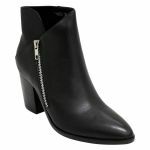 You would wear Tamers as a dressy boot out to dinner. 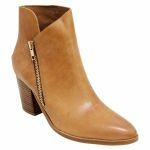 Tamers has a similar look our Candis boot except it is higher in heel height. 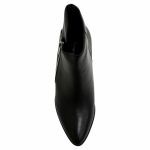 Tamers has a wrap style detail closure and a pointed toe. Tamers has a padded footbed meaning lasting comfort throughout the night. 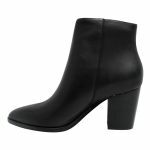 Tamers is a modern dress boot with sharp shapes serving as its standout features. We recommend protecting the leather with our Waproo Leather & Stain Protector and using our Waproo Zorbel Leather Conditioner to maintain it after wearing.